Frankie Allen with her mum Karen and Vale legend Peter Swan. As we approach December 31, it’s a time to reflect but also to look forward to what 2014 may bring. Top of my wish list for the New Year is a hope that a little girl from Burslem will move further down the road to recovery. I’ve not met Francesca Allen but I’m one of the hundreds of people locally who’s done a little bit of fund-raising for her. In August she was diagnosed with leukaemia and since then her courage and beautiful smile have inspired many of us. Whatever 2014 brings, let’s hope it is a happier and healthier one for a three-year-old who has touched the hearts of people across the Potteries. In February pop superstar Robbie Williams turns 40 and here in his home city we’re having a bit of a do to celebrate. RWFanFest is a month-long festival which honours the achievements of Britain’s top-selling music artist and someone who has given £5 million of his own money away to worthy causes here in North Staffordshire. There’ll be an exhibition of never-before-seen memorabilia and photographs at the Potteries Museum and Art Gallery in Hanley, a charity gig in aid of the Donna Louise Children’s Hospice, a fans’ art exhibition at Burslem School of Art and bus tours around the ‘Robbie trail’. This year Sentinel readers campaigned hard to help save the name of their local regiment. The Staffords, or 3Mercian as they are now known, had been under threat from Ministry of Defence cutbacks. But a 17,000-strong petition taken to 10 Downing Street showed the strength of feeling locally and Army top brass gave a commitment to preserve the name. Our boys are currently on active service out in Afghanistan so spare a thought for them as you tuck into your left-over turkey and mince pies. Here’s hoping they can complete their final tour as 3Mercian successfully and ALL return home to their loved ones safely. Sticking with the military theme, 2014 promises to be a big year for commemorating conflicts. It marks the 100th anniversary of the start of the Great War and events and initiatives are being planned all over the country. The Sentinel has a number of special supplements planned – including the re-publishing of interviews with First World War veterans as well as letters from The Front. We will also be working with a variety of organisations to ensure that the county’s rich military heritage is celebrated. On that note, June marks 70 years since D-Day and world leaders, veterans and tourists will gather in Normandy to pay tribute to the fallen of arguably the greatest invasion the world has ever seen. The Sentinel has interviewed surviving veterans from all three branches of the services – both for the newspaper and on film for our website – and will be producing a souvenir pull-out to coincide with the anniversary. Regular readers of this column will know I’m a big believer in celebrating our heritage and so I’ll be supporting Fenton residents in their campaign to save Fenton Town Hall and its unique Great War Memorial. The fight has already received the backing of celebrities including Stephen Fry, and thousands of people have signed a petition calling for the building to be returned to public ownership rather than sold off to a private buyer by the Ministry of Justice. Let’s hope justice prevails and the people of Fenton are allowed to retain this civic gem in 2014. I’ll also be doing my bit in the New Year to help raise the profile of RW388. That’s the serial number of the city’s Mark XVI Spitfire, housed in the Potteries Museum and Art Gallery, which is in urgent need of some tender loving care. Here in the birthplace of its designer Reginald Mitchell, I think it’s vital we do all we can to help restore and conserve this wonderful aircraft for future generations. Expect plenty of coverage of the battle to save RW388 in The Sentinel and, if you want to make a contribution, you can pick up a copy of a fund-raising Spitfire calendar comprising terrific archive photographs from our reception, priced at £7.99. If you do pop up to Hanley you’ll notice that work on the much-maligned Central Business District continues apace. Given that I can’t see the powers-that-be at the council changing their mind about plans for the city centre, I just hope the CBD progresses quickly and there is movement on the long-awaited City Sentral shopping development. I’m not holding my breath for the latter, given the delays and curious lack of communication from the developers but perhaps we will see a scaled-down version of the original plans. Anything would be better than nothing at this stage. Turning to sport, I’d like to wish Peter Coates and Stoke City all the best for the remainder of the season. Potters manager Mark Hughes is lucky to have such a passionate and reasonable bloke at the helm – one who will give him the time and resources to mould his own team in the hope of taking them to the next level. Meanwhile, at my beloved Port Vale my only wish is for a period of stability – or rather, an end to any financial uncertainty. Fingers crossed Micky Adams signs a new deal, anyone who is owed any money by the club gets paid, and Vale fans are given closure with regard to the activities of certain individuals who brought the club to its knees in 2012. I know I speak for The Sentinel when I wish chairman Norman Smurthwaite and his team all the best for a successful and prosperous 2014 – hopefully free of media bans and full of goodwill to all fans… and journalists. 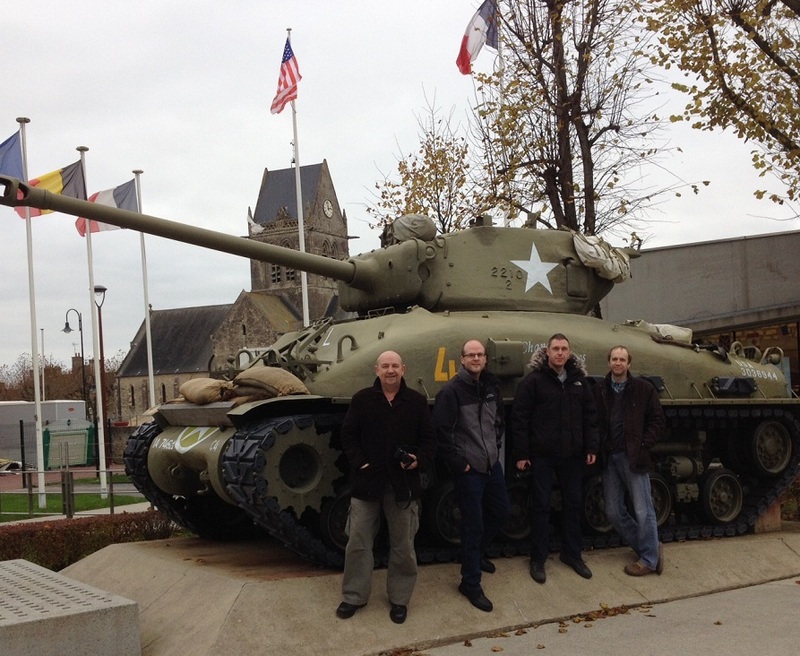 My friends with a U.S. Sherman tank at the Airborne museum in Sainte-Mère-Église. Earlier this week I walked in the footsteps of legends on a pilgrimage that millions before me have made. In June of next year the places I visited with four friends will be rammed with tourists – that is when they are not entertaining heads of state. The beaches, museums and towns of northern France will be filled with veterans, their families, and Armed Forces personnel paying their own tributes to those who fought and died on D-Day. A few days ago my friends and I had these places, quite literally, to ourselves which was a genuine privilege. At the age of 41, and as a student of military history, I’m just old enough to appreciate the significance of the Normandy Landings and their place in history. As a child during the Seventies and early Eighties I was fascinated by black and white war films such as The Longest Day which were often shown on telly on a Sunday afternoon or around Christmas time. Ask my mum and she’ll tell you I spent hours re-enacting battles with toy soldiers in our house and garden or drawing pictures of tanks, paratroopers, Spitfires and Messerschmitts. My history teacher at Holden Lane High, Geoff Ball, had all sorts of militaria in his classroom which helped to bring the Second World War to life for me. As each Remembrance Day came around I’d watch as the ranks of veterans in their mid-sixties would file past cenotaphs paying tribute to fallen comrades. For me, the Second World War has always loomed large in my consciousness because my grandparents’ generation lived through it and I was able to talk to them about everything from rationing to Churchill. I’ve lived through various conflicts – the Falklands, Iraq and Afghanistan – but nothing like the global war which engulfed Europe between 1939 and 1945. I find it remarkable that in 1940 Britain stood alone against the all-conquering Nazis and that the world could so easily have been a very different place to the one we now know had it not been for the RAF, a certain Reginald Mitchell and his wonderful fighter plane, and a large slice of luck. For me, the amazing thing is that you can still see and touch this part of our history. 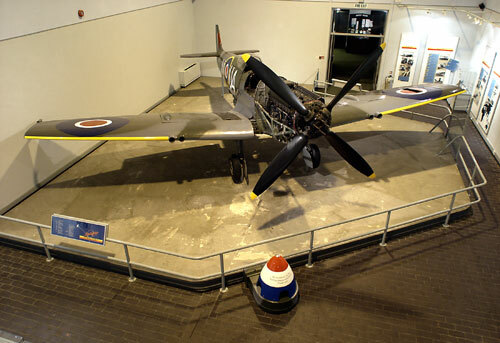 You can visit our city’s Spitfire in the Potteries Museum and Art Gallery. You can still see some of the tanks and other period hardware at museums or vintage rallies. Re-enactment societies dress up in 1940s clothing and dance the night away to big band tunes. Television networks like HBO in America have produced exceptional series such as Band of Brothers and The Pacific which have portrayed the conflict like never before with true stories of those who fought in Europe and the Far East. You can also do what me and my mates did and visit Normandy – a place where the landscape is still dotted with reminders of the greatest sea-borne invasion the world has ever seen. Visit Arromanches (Gold Beach) like we did and you can see landing craft, pontoon bridges and the remains of the remarkable engineering feat that was the floating Mulberry Harbour which kept almost two million Allied troops supplied during their push into France. Step into the D-Day Museum just off the beach and one of the first things you’ll spot on the wall to your left is a plaque dedicated to the men of the Cheshire Regiment who fought and died on June 6, 1944. Visit the Arromanches 360º museum on top of the hill and watch a remarkable video presentation featuring archive footage from all nationalities involved in the conflict in glorious, evocative HD in a nine-screen circular cinema. Drive past the sign for Omaha Beach where more than 4,000 American soldiers were killed or wounded in just a few hours as they disembarked from landing craft to be met with murderous machine gun fire. Travel a little way in land, as we did, to the little market town of Sainte-Mère-Église – a key strategic objective for American paratroopers in the hours before the Normandy Landings began – and where a parachute and mannequin still hang from the famous church spire. This is the town where you’ll find the inspirational museum dedicated to the men of the 101st and 82nd Airborne regiments – complete with an actual C47 Dakota aircraft and Waco glider which transported them across the Channel. Modern-day Normandy is dotted with shrines, monuments and militaria such as gun emplacements and vehicles which have stood the test of time. It is an area inextricably linked with the fight for freedom. D-Day was an operation so large and ridiculously complex that the more you learn the more you come to realise it was astonishing that the Germans were caught by surprise. These days as a nation we, quite rightly, pay due homage to the men and women of our Armed Forces who risk their lives daily in conflicts overseas. When we lose one of them, as with the recent death of Warrant Officer (Class 2) Ian Fisher, there is a collective sense of grief and these sacrifices are mentioned in Parliament. But in June 1944 those who went into battle did so knowing that it could be weeks before their loved ones back home would know of the success or otherwise of their actions – or indeed whether or not they had lived through D-Day and its aftermath. The 10,000 plus Allied casualties on day one alone are unfathomable in today’s theatres of war where smart bombs, stealth bombers, drones and technology have mercifully reduced the numbers of dead and injured. With each passing year the number of Normandy veterans grows ever smaller. Make no mistake we mark the passing of a special generation – the likes of which we will never see again. 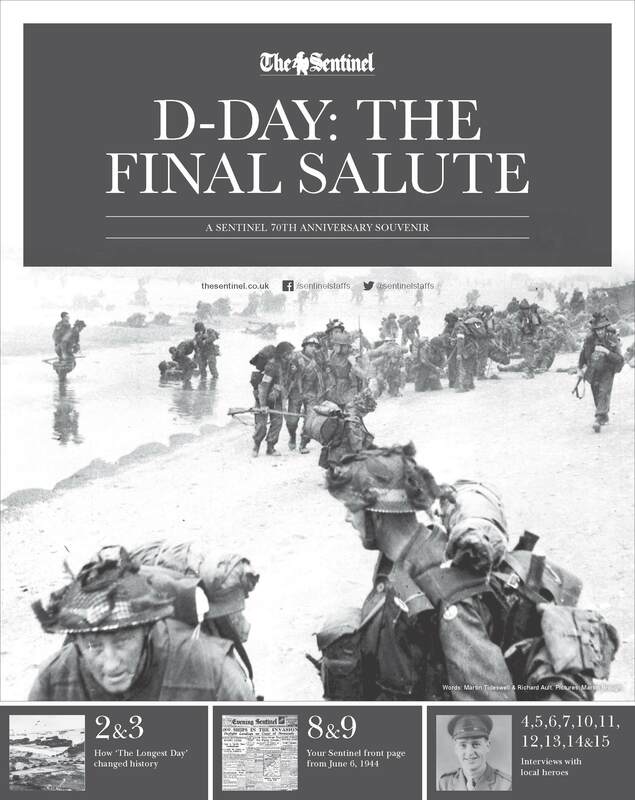 *The Sentinel is planning a special 70th anniversary souvenir supplement which will include interviews with a dozen local survivors of D-Day. Tell us your stories of D-Day by emailing: martin.tideswell@thesentinel.co.uk or calling 01782 864412. Peter Coates presents a cheque for £20,000 to Operation Spitfire’s Julian Mitchell. Stoke-on-Trent is extremely fortunate to have a couple of wealthy philanthropists who are passionate about the city and want to give something back. Mobile phones billionaire John Caudwell’s charitable works are well documented. Earlier this year he gave £2 million to the cost of unveiling a memorial to the heroes of Bomber Command for their sacrifices during the Second World War. 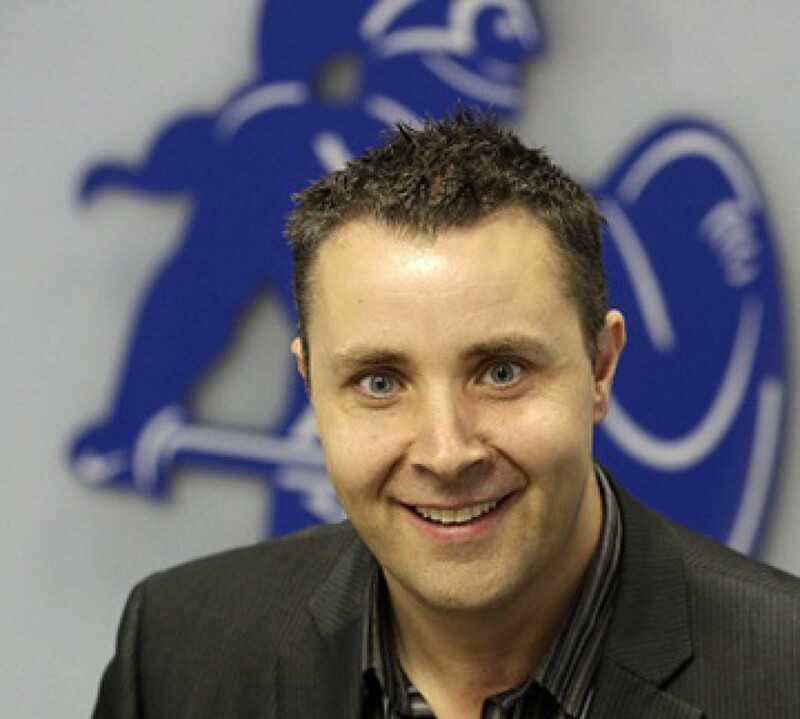 However, John is best known for the charity which bears his name – Caudwell Children – which raises money to provide help, support and an annual dream holidays for the families of youngsters with life-limiting illnesses, many of whom hail from the ST postcode area. In Peter Coates, Stoke City supporters already know the rejuvenating effect his money and vision have had on the club he has supported all his life. But what many don’t perhaps realise is that the Potters’ chairman often puts his hand in his pocket to help local worthy causes. His most recent charitable donation of £20,000 gets a really important local fund-raising campaign off to a flying start. The money will be used to create a Spitfire cockpit simulator which will be housed at the Potteries Museum and Art Gallery alongside the city’s Mark XVI plane. When finished, it will allow visitors to sit in an interactive piece of kit featuring authentic controls and instruments and experience something akin to taking off in arguably the most iconic aircraft the world has ever seen. The donation also means its chocks away for the Operation Spitfire fund-raising appeal, chaired by Julian Mitchell – the great nephew of Spitfire designer Reginald Mitchell, once of this parish. Our Spitfire, model number RW 388, is now more than 70 years old and needs a great deal of tender loving care if we are to save this unique piece of aviation history. This isn’t the kind of project that the cash-strapped city council, which currently operates the venue, can afford to underwrite. What’s more, these days there are fewer grants to aim for than there would have been, say, a decade ago. No, like Britain those Spitfires defended back in 1940, we are on our own in trying to raise the brass to preserve and conserve this gem. Peter Coates has done his bit – now it is down to us, the wider community of North Staffordshire, to come together to raise the necessary funds for ongoing repairs and restoration work for an aircraft that is now well past its intended shelf-life. At a time of great austerity, and with so many worthy causes needing support, some would argue that other local charities are perhaps more deserving than a chunk of ageing metal. However, we should understand that this will be an ongoing fund-raising campaign which – although currently being championed by Julian Mitchell – is likely, as he has admitted to me, to be completed by his children some years down the line. It is also worth remembering that, in addition to cash, the Operation Spitfire volunteers are also looking for local companies to come to the table offering time and resources. This is a long-term project which will involve schools, colleges and universities – providing a stimulating addition to the curriculum and the opportunity for both academics and local engineering firms the chance to bring their expertise and innovation to the fore. The Spitfire was itself a pioneering creation which defied convention and played a huge role in protecting this country from Nazi tyranny. That its creator was born and educated locally is and must remain a source of a great pride. There can be no better way of honouring his legacy than by ensuring an example of his work remains on display, in all its glory, for future generations to marvel at. We Stokies have fond memories of 1986 because of the National Garden Festival which transformed a huge area of derelict land in the heart of the Potteries. But it was also the year that an iconic piece of our heritage was unveiled at its new home after 20-odd years in a ‘greenhouse’. The city’s Mark XVI Spitfire, RW 388, was gifted to the people of Stoke-on-Trent by the RAF in 1972 as an acknowledgment that Spitfire designer Reginald Mitchell had been born in the city and received all of his education here. Since that time it had been on display inside a huge glass hangar on Bethesda Street where generations of children – including me – gawped at its magnificence. But on October 27, 1985, under cover of darkness RW 388 was carefully winched out of its glass hangar before being carried at lamppost height to the foot of Unity House where one of the largest cranes in the country took over the operation. It soared over the museum at around 8.30am before being eased into blocks inside the courtyard of the Potteries Museum and Art Gallery so that construction work could begin on a purpose-built gallery to house the classic fighter aircraft. 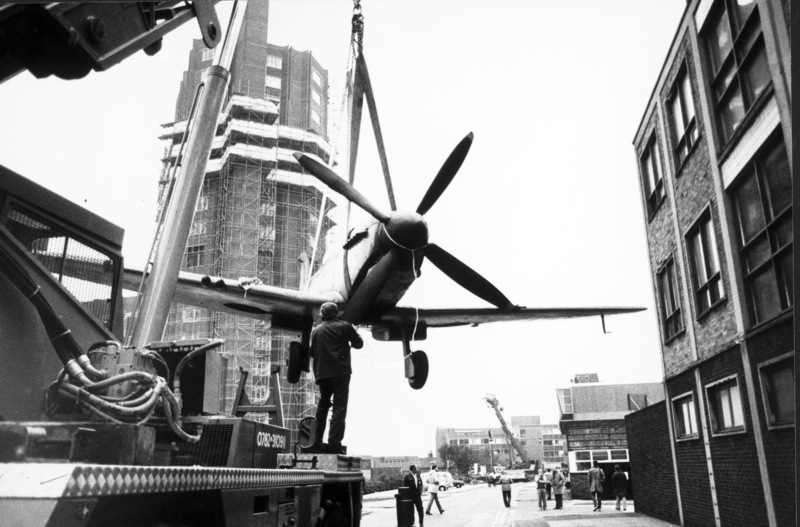 The cost of the project, to transfer the plane and create its new home ahead of the public opening of the gallery in the Spring of 1986, was put at around £89,000. 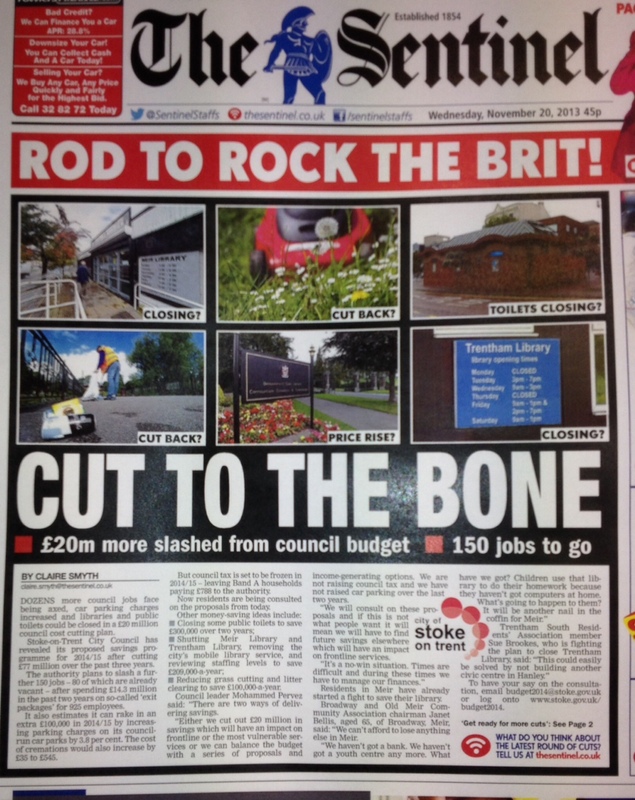 However the city’s taxpayers only had to find £40,000 as the remainder was covered by grants. RW 388 never actually saw combat during the Second World War. It was built in 1945 at Castle Bromwich and was first used as a training aircraft and then later for towing targets so that Royal Navy ships could practice accurately aiming their guns. After that she was used as part of a gate display at two RAF bases – RAF Benson and RAF Andover. This exposure to the elements for an aircraft only build to last a few years goes some way to explaining the deterioration of RW 388 as it approaches its 68th birthday. Having said that, the city’s Spitfire is unusual in that it is not your typical mixed bag for an aircraft of its age. It is estimated that around 85 per cent of RW 388 is original – just as it was when it rolled off the production line in Birmingham all those years ago. That being the case, the city’s Spitfire is rather special – and remains a major attraction at a venue which also boasts the world-renowned Staffordshire Hoard and a fabulous collection of locally-made ceramics. Earlier this year a campaign was launched to raise tens of thousands of pounds to conserve and ultimately restore RW 388 to pristine condition. This will involve a major fund-raising event at the King’s Hall in Stoke on Friday, October 19, which will be compered by yours truly. It is a project I am very proud to be associated with – one which will help to preserve an important piece of our heritage. That the man who designed the aircraft which helped to turn the tide of the Battle of Britain came from our neck of the woods is something we should continue to celebrate – even as the generation which remembers those dark days leaves us. *Anyone wishing to make a donation to the fund should visit: http://www.uk.virginmoneygiving.com/team/spitfire or call 01782 232502. There can’t be many blokes my age who didn’t have an Airfix model aeroplane hanging from their bedroom ceiling at some point during their childhood. My guess is that, of those who did, most will have chosen a Spitfire over a Tornado or a Harrier jump jet – along with the obligatory Messerschmit ME 109. Transforming those fragile bits of grey plastic into something vaguely resembling the fighter plane which saw off the Luftwaffe and turned the tide of the Battle of Britain was actually something of a challenge. I recall I accidentally glued the cockpit hood on before realising I had forgotten to put the tiny pilot in his seat. A schoolboy error. My painting wasn’t great, neither. It still looked pretty good hanging from the lightshade on a piece of black cotton, though. After all, it was a Spitfire. Sleek lines, the curvature of those wings – one of the most iconic and important pieces of engineering the world has ever seen. Perhaps not the one in my bedroom, like, but you take my point. How proud I am – Indeed, how proud we should all be – to say that the man who designed this work of genius hailed from our neck of the woods. Not only that, but our city is lucky enough to actually own one of Reginald Mitchell’s stunning creations. As a youngster I remember visiting the ‘greenhouse’ which housed our Spitfire outside the Potteries Museum and Art Gallery. In an age of simulators, jaw-dropping movie CGI, hand-held consoles and video games which are so life-like you have to pinch yourself, it is perhaps hard to explain to children and young people how an old aircraft can be impressive and inspirational. This is worrying when you consider that there are millions of people in this country who have no link with anyone who lived through or fought in the Second World War. When I was a kid we were still watching all those epic war movies made in the Sixties and Seventies. Our grandfathers had fought against the Nazis. It all seemed relatively recent history and therefore still relevant. Ask my mum and she’ll tell you how many hours I spent drawing pictures of battlefield scenes involving Tiger tanks and Lancaster bombers or playing on the back room carpet and in the garden with little toy soldiers who were my ‘Tommies’ and ‘Jerries’. Present most children today with a pack of plastic soldiers and they will look at you as if you’ve gone daft. The fact is it’s now almost 70 years since VE Day and the great generation who can remember those momentous times, and to whom we owe so much, are dying off. Not long from now World War II, its commanders, battles and weaponry will be the stuff of dusty museums and the preserve of a minority of people like me who are fascinated by military history. They will feel no more relevant to people in 30 years’ time than the Battle of Waterloo, the Iron Duke and the Baker rifle do to most people today. Thankfully, we have an opportunity to ensure that here in Stoke-on-Trent, our Spitfire, along with its creator, are never forgotten and that the significance of their role in the fight against Hitler’s tyranny is properly explained to future generations. Sadly, our plane – the Mk XVI Spitfire RW388 now housed at the Potteries Museum – is in need of a little TLC (about £50,000 worth to be precise) to prevent the old girl from rusting. The Friends of The Museum have launched a major fund-raising drive to bring this amazing exhibit to life through an interactive display. I wholeheartedly applaud this endeavour as I’ve felt for some time that our Spitfire is, at present, somewhat hidden away at the museum. Indeed, when I visited the venue recently I talked with museum bosses about their plans to enhance one of their three unique attractions. I even suggested they recreate the cockpit as part of the exhibition. Bugger Health and Safety concerns with the actual plane. I want to know what it was like to sit in a Spitfire. During these austere times the city council was never going to throw £50,000 at conserving one museum exhibit. Not to worry, I’m confident that we – the people of North Staffordshire – can come to the aid of our Spitfire in its hour of need. I’ve made a donation to the appeal and I would urge everyone to support this very worthy cause. If we all chuck in a couple of quid we’ll have the old girl scramble-ready before you know it. I would suggest it’s the very least she, and Reginald Mitchell deserve, from their native city. *To make a donation, visit: http://www.uk.virginmoneygiving.com/team/spitfire or call 01782 232502.